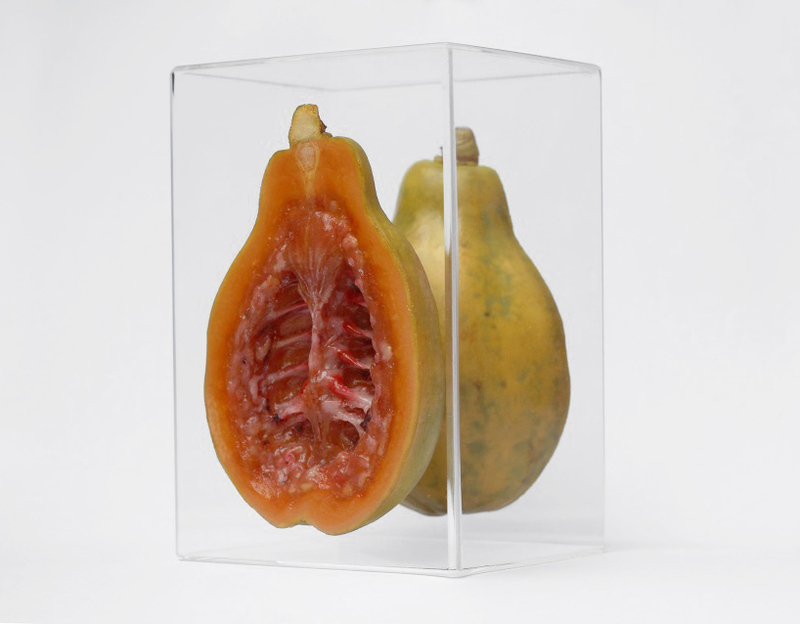 monica piloni sculpts neither fruit, nor skeletons, but a species lying somewhere in between the two otherwise unrelated objects. 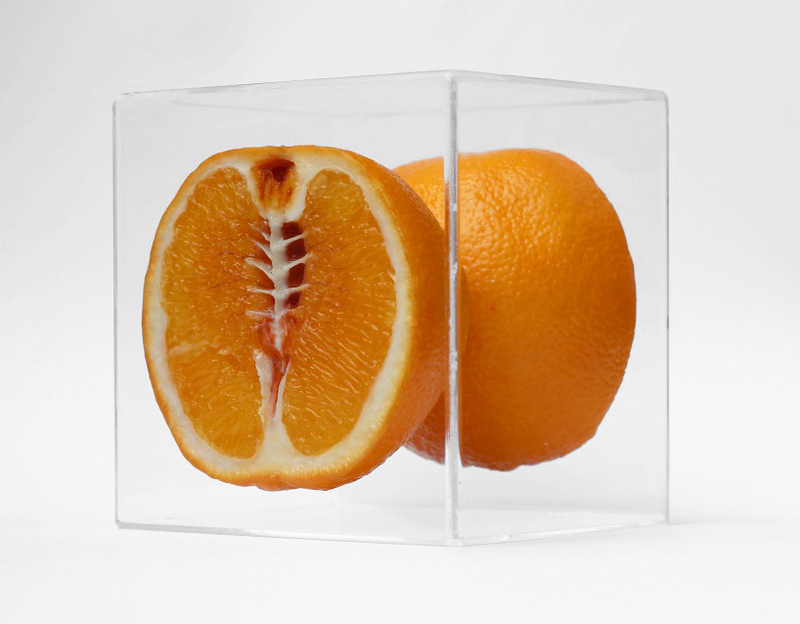 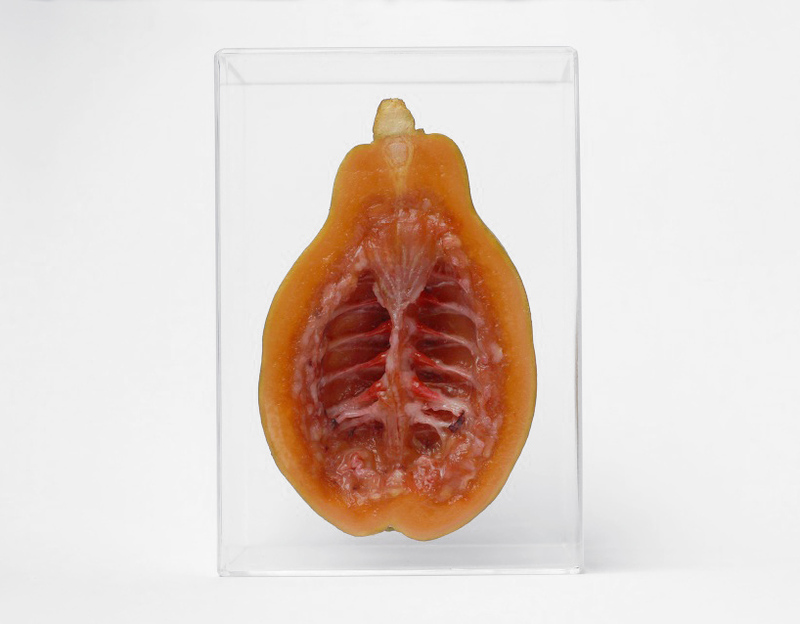 the brazilian artist has created a collection of ‘hybrid’ produce that hides an eerie bone structure at their core. 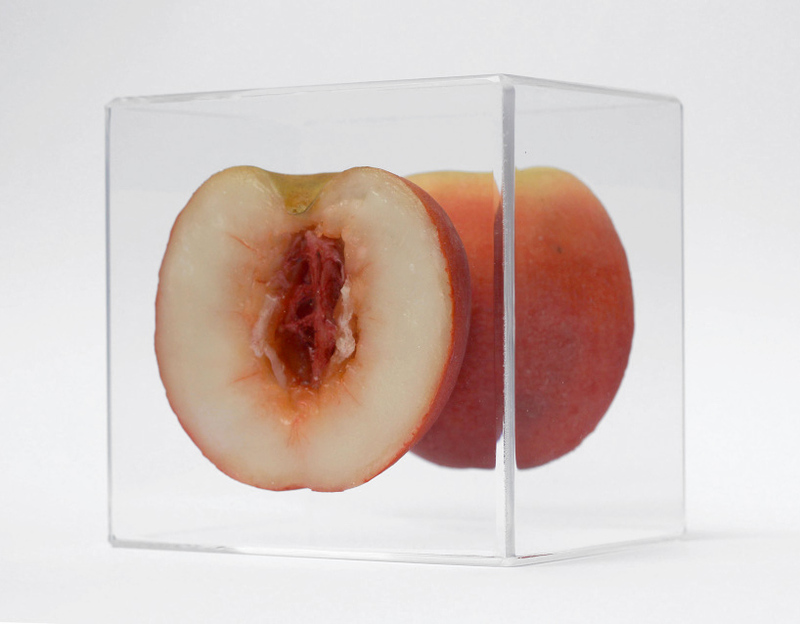 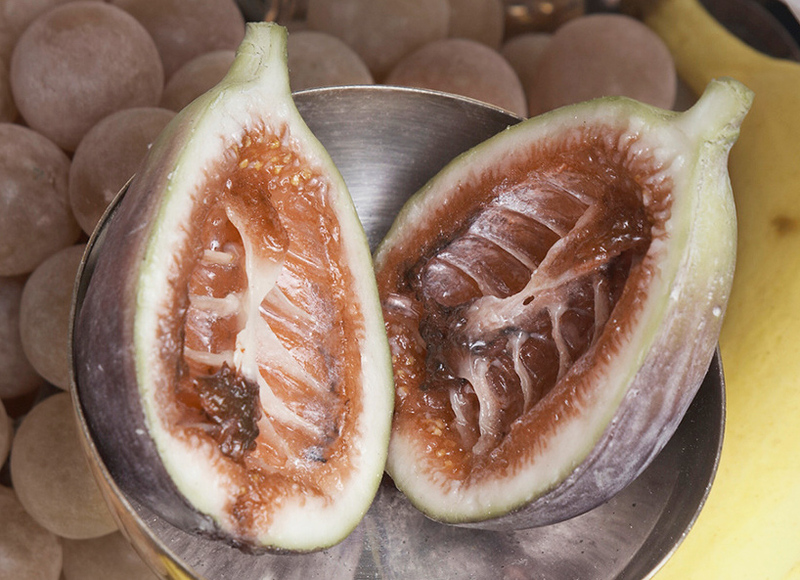 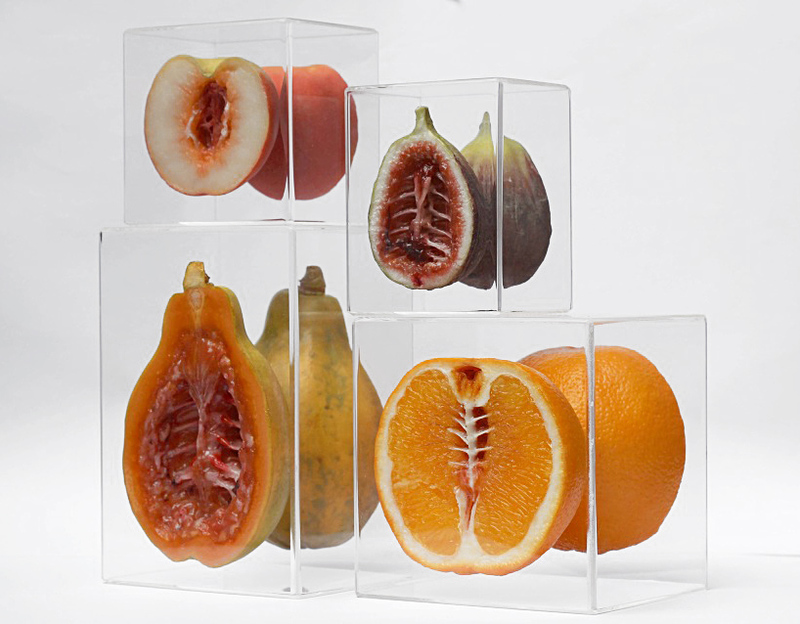 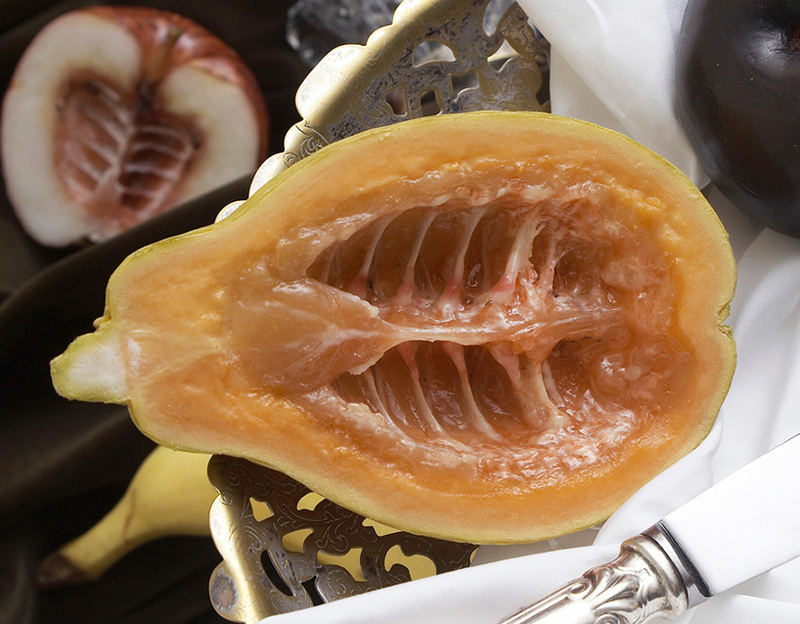 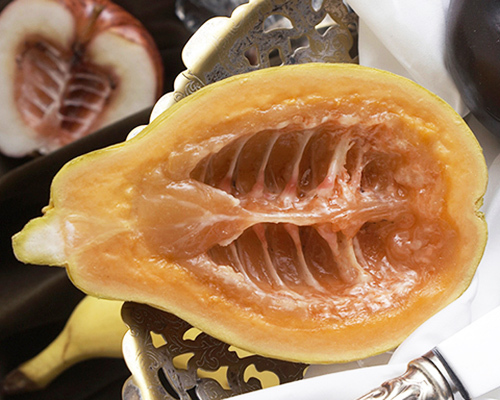 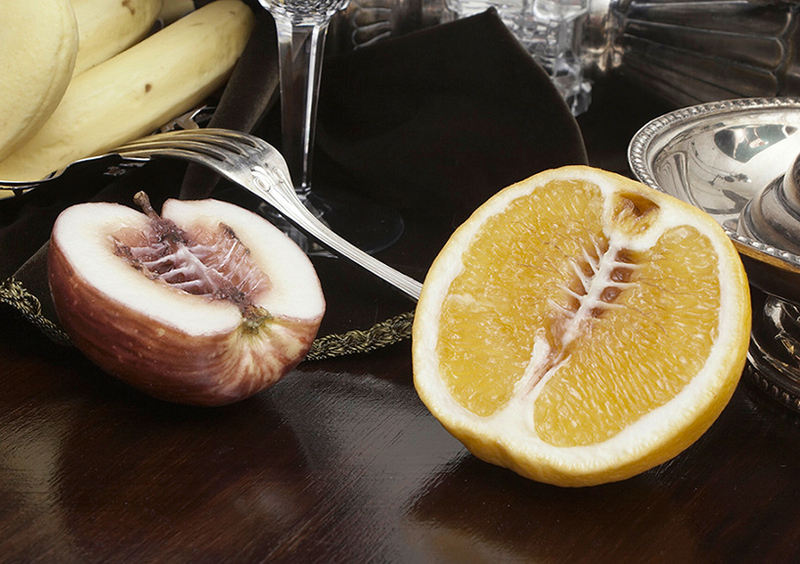 figs, oranges, papayas and peaches are sliced in half and carved into, revealing a strange and startling ribbed structure concealed within the fruit flesh. 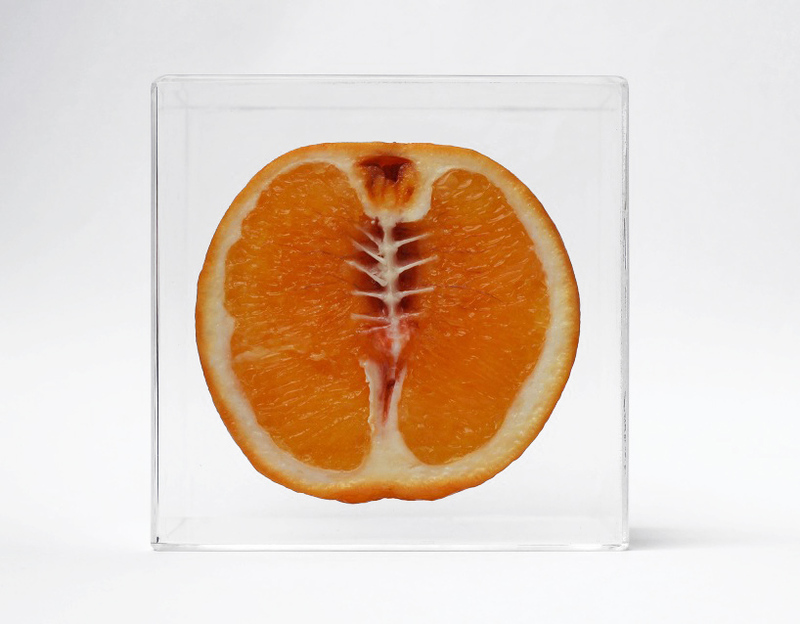 the fishbone-like framework made from vinyl and acrylic mediums forms a network of osseous matter that is entirely removed from its usual context. 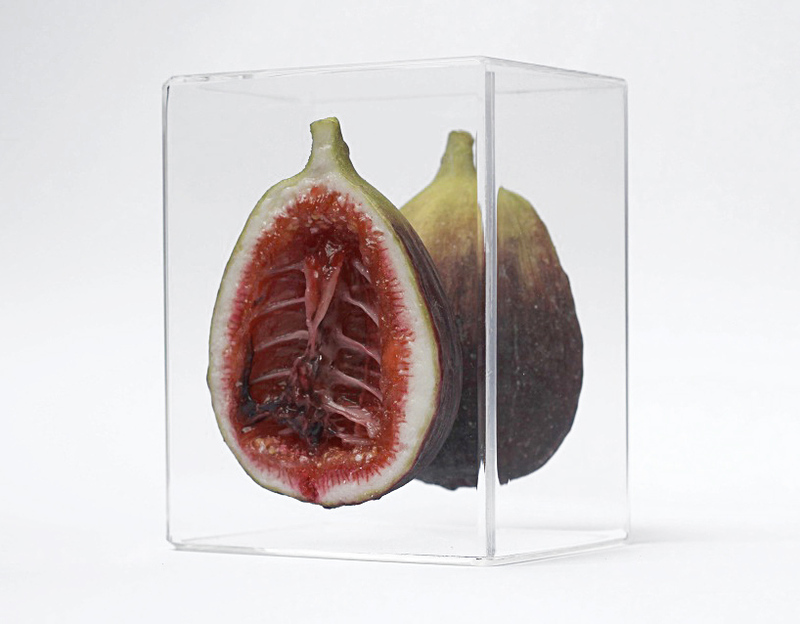 the bony breed of edibles beckons a reaction of both intrigue and aversion, where the unseen fabric of the human body is realized in the flesh.